Outing: An excursion with the troop. An outing usually has costs (food, travel, campsites/lodging) for which the Troop collects an Outing Fee. Activities: What we do on outings. The troop will collect Activity Fees in addition to the Outing Fee for those who opt to participate in the activity. Some activities may be out-of-pocket, and the troop will not collect the fee. Preregistration: Discontinued This caused too much confusion. PREREGISTRATION IS NOT NECESSARY FOR REGISTRATION. Click 'Scouts Preregister' on the Outings page. 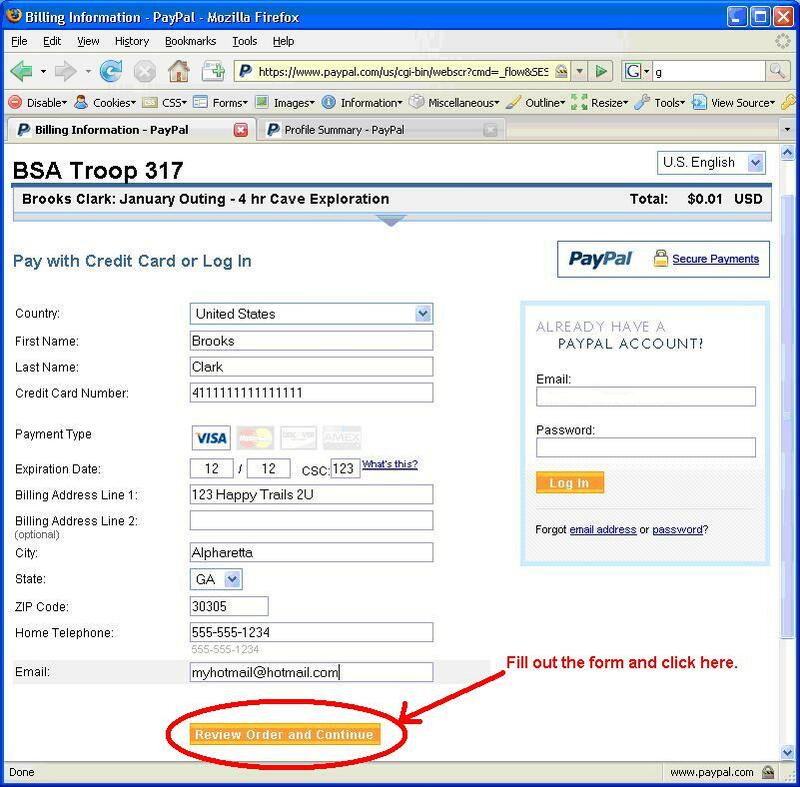 Scouts can use the Preregistration Page to indicate their desire to attend an outing and select their desired activities. By doing so, a scouts will appear on the outing roster with a status of 'Preregistered' and will be allowed to attend the outing only after his parent has completed registration and payment. Before registration is completed, the scout may make changes to his activity selections. Registration: Click 'Register Now' on the Outings page. Parents use the Registration Page to indicate who in their family will be attending an outing. By doing so, the attending family members will appear on the outing roster with a status of 'Registered' and will be allowed to attend only after payment. Before payment is completed, the parents may change activity selections for family members. Cancellation: Click 'Register Now' on the Outings page. Each registration can cancelled. 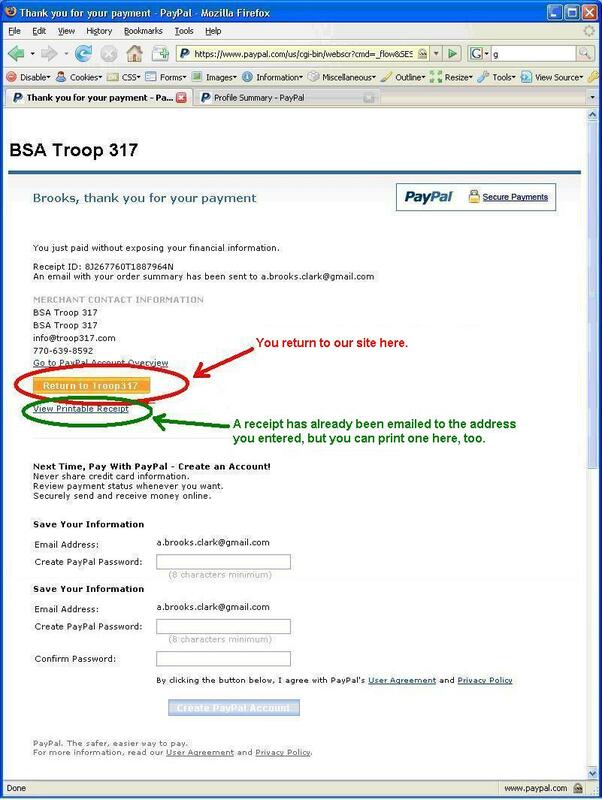 IF CANCELLATION IS AFTER PAYMENT, REFUNDS ARE SUBJECT TO TROOP CANCELLATION POLICY. In all cases, refunds will be made after the outing, by check or Scout Account credit. We can not refund the money back to the card used. 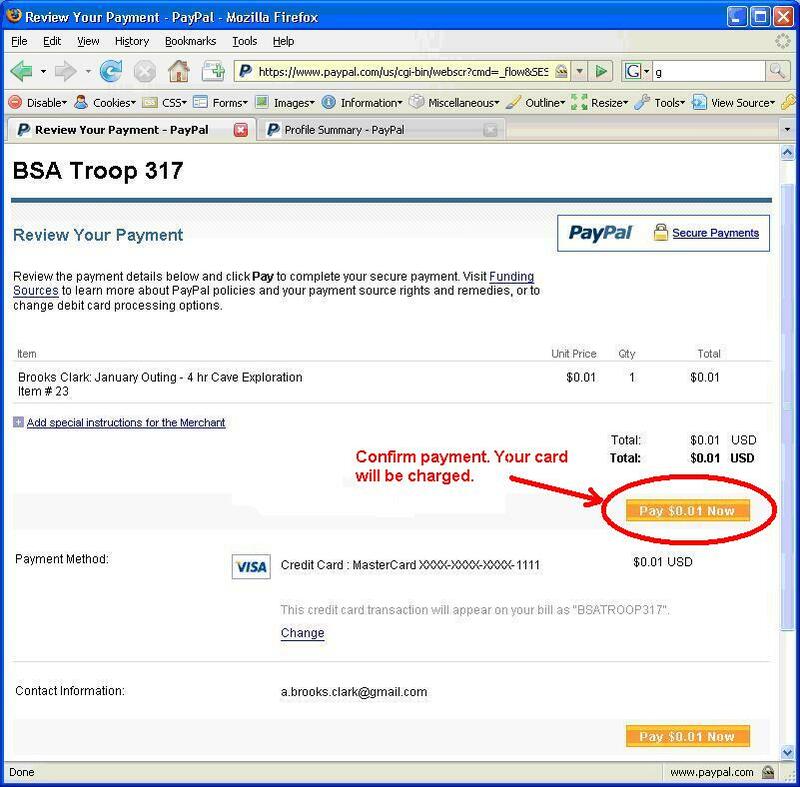 Step 1: When you click the Pay Now button, you will be taken to the BSA Troop 317 payment page on PayPal's servers. Note: When you click the Return to Troop 317 button, you may receive this warning. 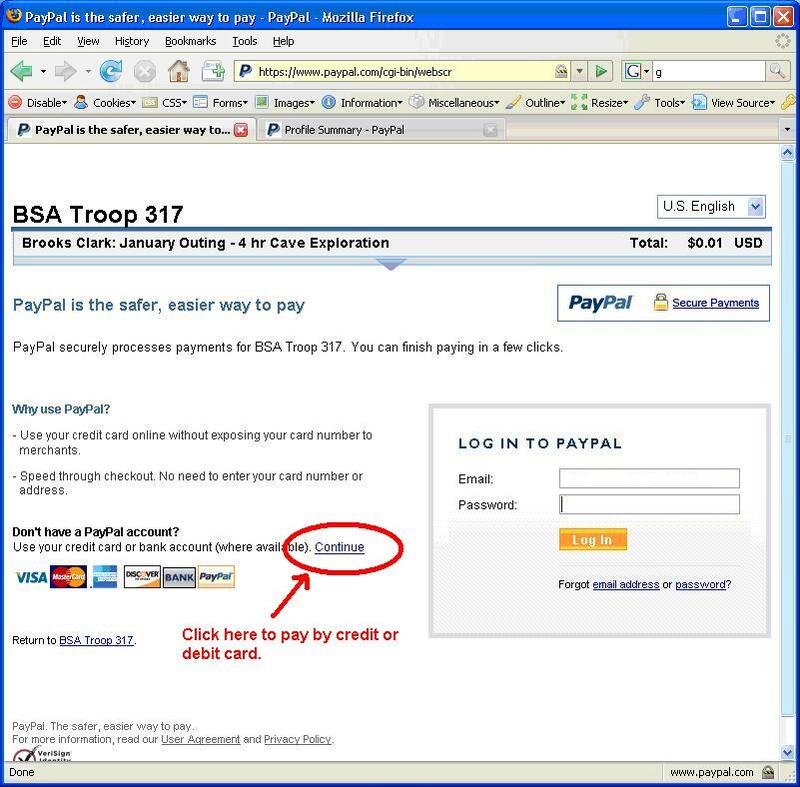 It occurs based on your browser settings when you leave a secure page where you used your credit card (https) to return to our website (http).